Here it is, days after the exchange of vows, and I’m still groggy from having watched television’s coverage of the royal wedding. I thought the sun would never set on it. First there were all those preliminary “specials,” and then the day itself went on forever, a seeming eternity of coverage. From the dead of the night into the afternoon, the stalwarts of the news stayed on the job, really covering the whole occasion, like soot. “You want something very, sort of, stirring,” Prince Charles had said (referring to the wedding music), and that’s what the networks gave us: London, teeming and jubilant, half-appeared behind the networks’ correspondents, who would not shut up or get out of the way, but worked for hours to replace or adorn the images with their own dead commentary. They were as tiresome as those other creatures of television, people who talk behind you at the movies. 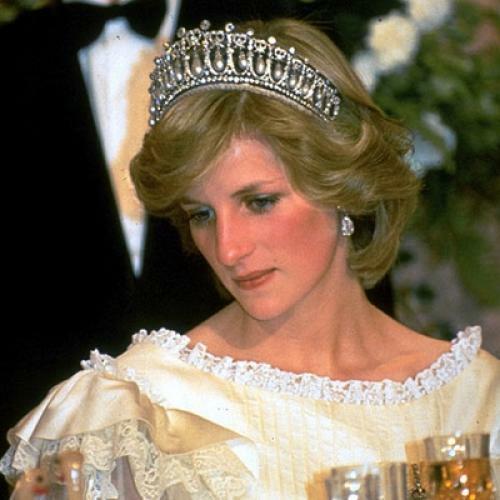 This was the case with the major issue of the week before the wedding: Lady Diana’s crumbling nerves. The crisis of this nonstory occurred when the young bride-to-be, trying to watch her fiancé play polo, finally cracked under the pressure of all those journalists goggling at her. And there it was on television: Lady Diana slowly sinking into herself, then getting up and leaving in the middle of the game. This clip was accompanied by the usual bland exposition (“tears in her eyes…tension building for weeks,” etc.) which presented the scene as if it were a natural occurrence, like an earthquake, which the cameras had just picked up by chance. The reporters were pretending that it had nothing to do with them, when it was, in fact, their doing. In other words, the medium is itself the most insidious of boors, worse than any loudmouthed tourist or staggering gate-crasher; and those reporters covering the wedding did their jobs with suitable discourtesy. Conducting the blitz for CBS, the clenched and unctuous Dan Rather seemed unsure of his pose. Was he just a country boy, trying to fathom all this trumpery for the other sons of freedom back home? Or was he the CBS superjournalist, wearing the mantle of Edward R. Murrow and therefore obliged to cover this royal event with all possible savoir-faire? Not knowing which to choose, he tried them both by turns, going back and forth from mechanical awe to aggressive expertise. If Rather had to play the part of tormented bumpkin, he managed to strike back at his hosts, first with a show of belligerent pedantry, then with some plain arrogance. Frost mentioned that Charles was the first Prince of Wales to qualify for a university degree, which casual revelation sent Rather tearing through his index cards: “First Prince of Wales educated at a regular school, the first to earn a university degree, the first to ride a steeplechase, the first to jump from an airplane, the first to have flown jets and a helicopter—” He paused, then added, “The list is long,” as if to say, “That’ll show you! Now shut up or I’ll keep reading!” And soon after this, Rather carried on an interminable analysis with fellow correspondent Tom Fenton, pointing out how nice it was that this “show” (the wedding) allowed the British to say, “ ‘We like each other! We like being British!’”—a remarkable fact, Rather went on, considering the high unemployment, the riots, the end of the empire, the national paralysis, etc., etc. His two co-hosts were conspicuously silent, and Murrow as turning over in his grave. This call to dissection brought Walters snapping back to life. “You know,” she meowed, “she seems to do just everything right, and perhaps this is why the people love her so much. Even the mistake that she made when she said—uh—her now husband’s name backwards—she said ‘Philip Charles’ instead of ‘Charles Philip’—” “Barbara,” Jennings answered, all compassion, “we look back just at that moment, and, as you point out, the Princess of Wales did make a minor, and totally forgivable, fluff.” Minor, forgivable, and too good to pass up: right after this simpering duet, they actually played back the audio part of the tape so we could savor that “forgivable fluff” once more, even drowning out the beginning of Handel oratorio to amplify that little slip. The greatest rudeness was committed toward us, the viewers, who were forced to look around those talking heads, try not to hear those self-assured voices, to look for that vivid and immediate marvel which television always promises, never delivers. We looked for beauty, and were given numbers. The newscasters may not have learned much about British culture in preparing for this event and they may have been ill-schooled in the national tongue, but they had been diligent in jotting down as many dates and weights and lengths and sizes as their files would hold, giving us history according to the Guinness Book of World Records: St. Paul’s has the second-highest dome in Europe, has 17 bells, weighing from 300 pounds to two and a half tons, that would ring 4,000 changes of music on the wedding day; the nave is 652-feet long: the yacht Britannia has a crew of 276, is as long as four football fields; the wedding cake is five feet high, weighs 250 pounds, contains 50 pounds of marzipan, etc., etc. There are the sorts of facts with which the networks crowded out the stories of that day. Wandering around outside the cathedral, Tom Fenton, an incredulous chuckle in his voice, asked people why they put up with all the mobs and waiting, why they didn’t stay home and watch the wedding on television. “I know all that,” one woman said, “but you wouldn’t have the atmosphere, you know?” The fact that he would even have to ask the question is almost as appalling as the “coverage” itself.